Galapagos diving, liveaboard dive boats, posted on this page are currently having all permits to operate with FIT's and full diving charters,which includes Wolf & Darwin islands, bookings are made many months in advance, but we also have our new most economical land-based diving alternatives, with all included, please check below our new packages from Isabela island and Santa Cruz island, these last itineraries do not include Wolf & Darwin islands, instead, you enjoy a great diving and multisport tour,combining with land sites you normally don't in a liveaboard. We represent the Yachts with best reputation and experience specially in the diving business. We have over 25 years experience with diving in the Galapagos, check our last minute promotions! 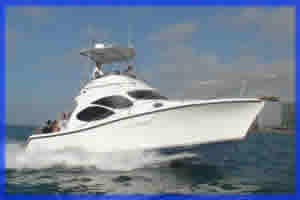 , read before booking a dive trip, frequent asked questions. 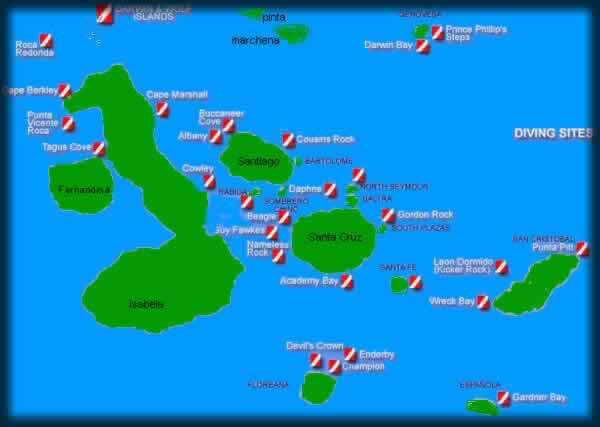 June - November: The water is cooler, 60-75F, 16-24C Galapagos diving live aboards are the only yachts that includes the islands of WOLF and DARWIN. this is a new first class Yacht, started on July,2010 and it is succesfully running as a first class Yacht, along with its unique world class diving Itinerary. call us for more updated dates, spaces are sold every day, we organize extra days in Quito Ecuador, for any extension Amazon Jungle or Andean tour around the Quito city surroundings, Otavalo Indian Markets,etc. we also organize extra days in Santa Cruz island, for any extension land day tours, visit places you normally don't see with a live aboard yacht with only few land visits during the Itinerary. 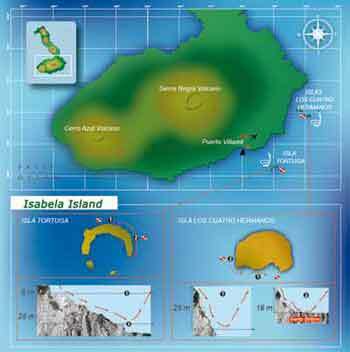 Galapagos National Park Entrance Fee USD $100 Transit Control Card USD $10 - personal dive equipment .. Ask for our packages prices including hotels in Quito-Ecuador,transfers,Quito city tours, Galapagos flights and more.Itineraries includes central and Wolf and Darwin islands , check with us for a more acurate available dates,spaces are sold every day. Nortada is designed as an 8 guest vessel with an extended occupancy option of up to 12 people. Four double cabins with en-suite bathroom, A/C and twin lower berths accommodate 8 people on board. The 4 additional guests can be accommodated in the twin size Pullman-style beds available in every one of the four cabins. Galapagos liveaboard dive tours,we also organize extra days in Santa Cruz island, for any extension land day tours, visit places you normally don't see with a live aboard yacht with only few land visits during the Itinerary. 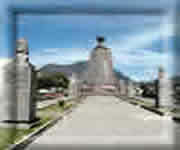 Ask for our packages prices including hotels in Quito-Ecuador,transfers,Quito city tours, Galapagos flights and more. Galapagos liveaboard dive boats, itineraries and spaces,departing from Cristobal island Itineraries includes central and Wolf and Darwin islands, prices per diver,based on double cabin with double beds and private showers.Live aboard including Darwin and Wolf Islands are recommnended for intermediate and advanced divers , experienced on strong currents , 7 mm. wet suit. The vessel will be with a complete operational standars, for a full diving liveaboard in the Galapagos. 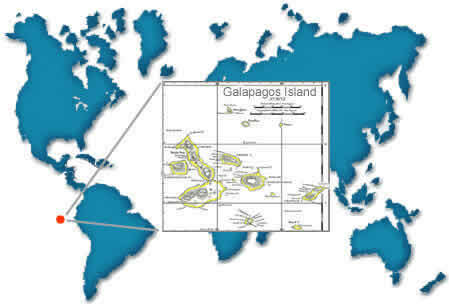 It is a new 8D/7N Itinerary.Galapagos Master have a very high reputation during the past years, now we will be proud to announce the exact spaces available. Monday departures from Cristobal, 16 divers. Galapagos diving with our packages Santa Cruz island-Hotel-based-diving tours . The following packages are specially for divers who prefer to enjoy with more options, within the inhabitated islands, staying in a confortable hotel at night and go on our daily diving cruises to the best dive sites, you don't need to book a liveaboard diving yacht many months in advance, prices are much lower than live-aboard Yachts, you will see places not visited by regular liveaboard boats,we help you to arrange a custom tour for you, just can choose any day of the week. Join our hotel-based diving groups ,on board of the fast boat for up to eight divers, with highly trained divemasters ! These Packages are based on double accomodations includes;Quito-Ecuador arrival, transfers to first class hotel, overnight, transfers to Airport, Airfare Quito/Glpgs/Quito. ; Santa Cruz Tourist class Hotel breakfast and lunch box, optional dinner, 7days/6nights diving tour; 2 dives per day; return and transfer to first class Hotel in Quito overnight, transfer to Airport for flight to home city,you choose the dates. This new and diverse Itinerary,a hotel-based diving Galapagos trip from Santa Cruz and Isabela islands, includes daily dives to the central islands, overnights in inhabitated island hotels. with 2 dives daily, trekking , horseback riding. This unique tour combines the best of Galapagos nature, marine fauna, We make arragements for private groups, 4 paxes minumun. We believe in a very responsible tourism, specially with scuba diving activities, our goal is to share and educate our clients to be in harmony with the delicate environmental ecosystem of the Galapagos islands and the Andean Region in general, we are also the first diving tour operator who work with the safety and accident prevention with our clients, taking clients comments very seriously. Diving Galapagos is great all year around,but we also specialize with our services for private yachts,scuba dive expedition vessels, or megayachts,with our Galapagos Yacht Agency, organizing private Galapagos yacht cruises, not only as tour operators , but as Galapagos ship agents , given the best services and support from our headquartered offices in Florida USA, and Santa Cruz island, assisting megayachts and the yachting industry since 1990. If you would like to receive our promotions and the latest news from Galapagos,suscribe to our Newsletter. Copyright ©2000- 2017 Galapagos Divers. All rights reserved.